Campus Technology: The Cloud and Colleges: Are we there yet? The Cloud and Colleges: Are we there yet? Well Christmas is almost over and my holiday blog is so last month. Time to look ahead to 2013. I am thinking about mobile, BYOD, security, a decent reporting solution (that I can afford), and the cloud (not Saas). I attended Educuase last month and made sure to see Casey Green's session on the Campus Computing Survey . I always enjoy seeing what Casey has come up and comparing it to the ECAR study produced by Educause. The Core Data Survey provides some pretty good metrics for comparion on all sorts of issues. There are many things to look at this year, but I was struck by the low numbers associated with cloud computing in higher education. In late September I made my first trip to Oracle World in San Francisco and heard Larry Ellison talk almost totally about cloud computing and how his products (almost every product you can think of) will serve us in the cloud. Well he said "your cloud, the Oracle cloud or a cloud hybrid", not just the cloud. A cloud hybrid is a little of yours and a little of his. this was a new term for me. He must have heard that most of higher education and business is just not quite ready to give of their data and their customizations for a single cloud flavor of their ERP system. For a moment try and imagine that you a CIO who is looking hard at the cloud as the future resting place for all computing. We can see the benefits of smaller or no data center; fewer database administrators, if any; and a disaster recovery plan that is clearly "Larry's problem". This is where we all want to be, but the message from most big providers is that all you have to do is run "vanilla". All customers use the same software and pretty much follow the same business practices. What a concept. I do not intend to mock the cloud as a concept. It probably is where we will all go some day. In the real world we all have those things that make us just a little bit different. In higher education we generally think that these differences are not problems, but are part of our identity or features. Our way is in fact the right way and is a reflection of who we are. Obviously, this cannot be compromised and we need find a way to incorporate our uniqueness into the systems we run. So, back to Larry's idea of "your cloud, the oracle cloud, and the hybrid cloud". I think he means that we could run part of our major systems (ERP) on the campus and part on his cloud at the same time. This is facinating, but hard to get your head around. Back to the Campus Computing Survey , in 2011 it showed that about 4% of colleges were putting their critical business systems in the cloud. In 2012 this jumped to 6%. This is a 50% increase in one year, but looks like a slow moving trend. To date only email (75%) and and learning management systems (37%) are moving to the cloud (GRCC, blog on CCS 2012 results). On the email front most of this is student email with Google and Microsoft offering free products. Low risk, since its only student information. I have dipped my toe in the water with smaller systems like medical records, judicial records, and student job services. I am uncomfortable with all of these since I cannot help my users when they have issues. I also don't know where the data is or what happens if "company X" goes out of business. BTW, we are trying to move away from one cloud vendor and they want to charge us for our own data! The Educause Top Ten Issues 2011 paper talks about cloud computing as a key strategic issue, but also provides questions about security and even the definition of cloud computing. 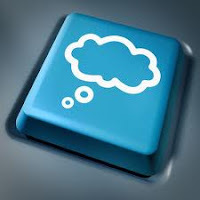 So as we start 2013 maybe we can keep whacking away at the definiton of cloud computing; learning more about where the data is and how secure it is;and determining how we can maintain all that is important to our campuses business processes while being "vanilla" in the cloud. More work needs to be done and more questions answered before many colleges adopt cloud computing models. My advice is to focus on what you can control and achieve in 2013. Go for some lower hanging fruit like deploying mobile applications, encouraging/supporting the use of teaching technologies, staying focuses on security, and keeping the wireless services "always on" and seemingly open. The cloud discussions will continue. I don't think we are there yet.